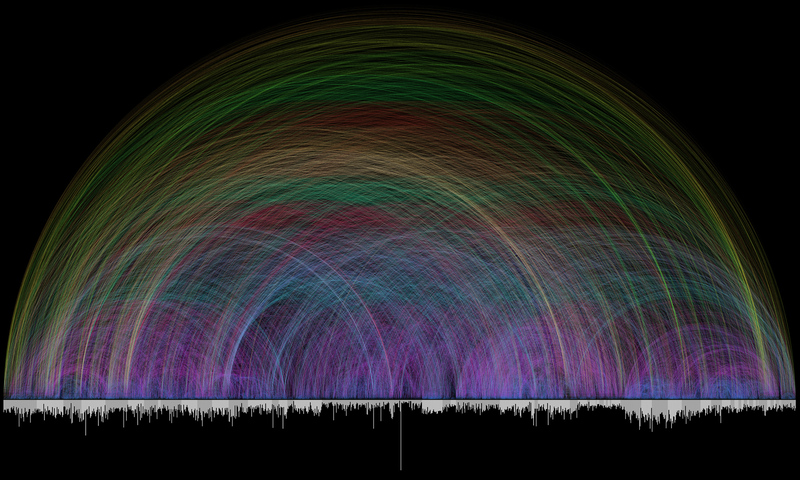 Chris Harrison from Carnegie Mellon University created this data visualization graph, showing 63,779 cross references found in the Bible. Beautiful, isn’t it? It also shows how inter-connected the entire Bible is. That’s why we must read the Bible as a whole, from the beginning till the end, in order to fully appreciate its message and grandeur. Tagged with Bible, CMU, Data Visualization.